WASHINGTON, Sep 19 2013 (IPS) – The United States needs to phase down its drug war and tighten the reins on its cooperation with local militaries and police in Latin America, according to a new report released here Wednesday by three influential think tanks. 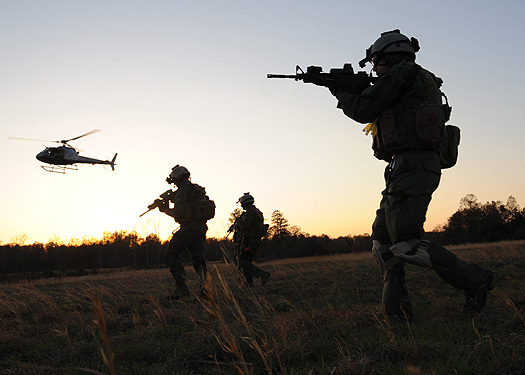 Of particular interest is the increase in training deployments to Latin American and the Caribbean by the Special Operations Forces (SOF) – elite units like the Army’s Green Berets and Navy SEALS – due in part to the U.S. withdrawal from Iraq and drawdown from Afghanistan. Click link to read more…. Using a multidisciplinary approach, students in the Latin American, Latino and Caribbean studies major study the diverse, multilingual, multiethnic regions of Latin America and the Caribbean and the cultural, linguistic and socio-political characteristics of the Latin American immigrant populations in the United States. Students apply different methods of inquiry from various perspectives and disciplines to gather information, evaluate arguments and analyze complex issues.